25 people attended Dirt Roads Network’s first ever church-planting boot camp. 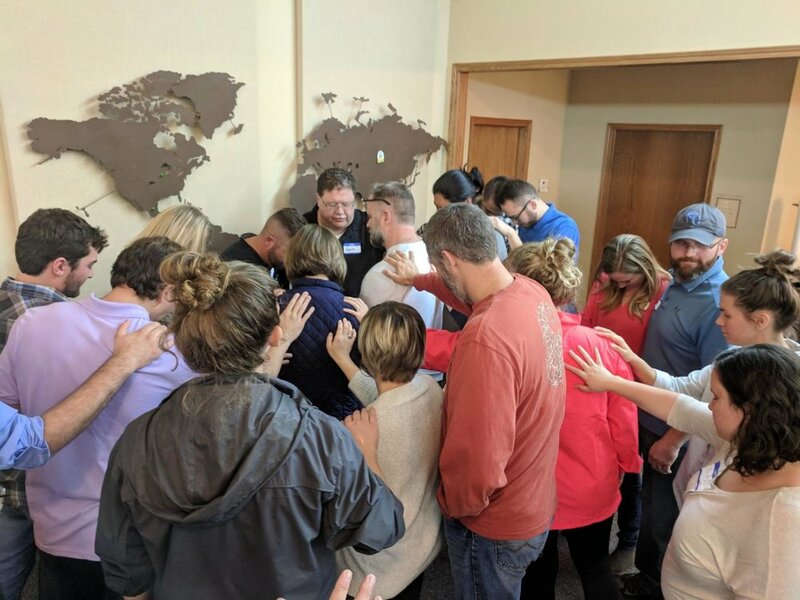 Attendees included our planters in Emporia and Iola, Pastors from the Kansas District, Kansas District officials, board members from Radiant Life and Lamont Wesleyan, and students from Oklahoma Wesleyan University. Boot camp exceeded our expectations in every way. The teaching of John and Danielle Freed was amazing. They took us through the process of planting a church step by step. They shared all sorts of stories of God doing amazing things as people followed his call to start a new church. The boot camp ended on a high note as we prayed over and anointed each participant. The sense of God’s presence was very real. He moved our hearts and called us to Kingdom building. Isn’t that amazing! Someone ready to step into ministry has found their calling because of your support for Dirt Roads Network! Thank you. We simply could not have done it without your prayers and generosity.